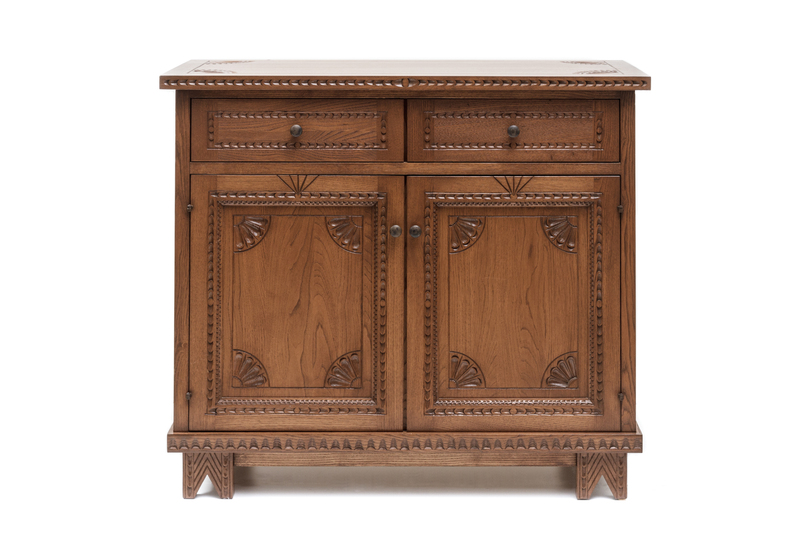 This small frontal flap-opening chest synthesises the shapes and fine carving of the traditional wedding chest. 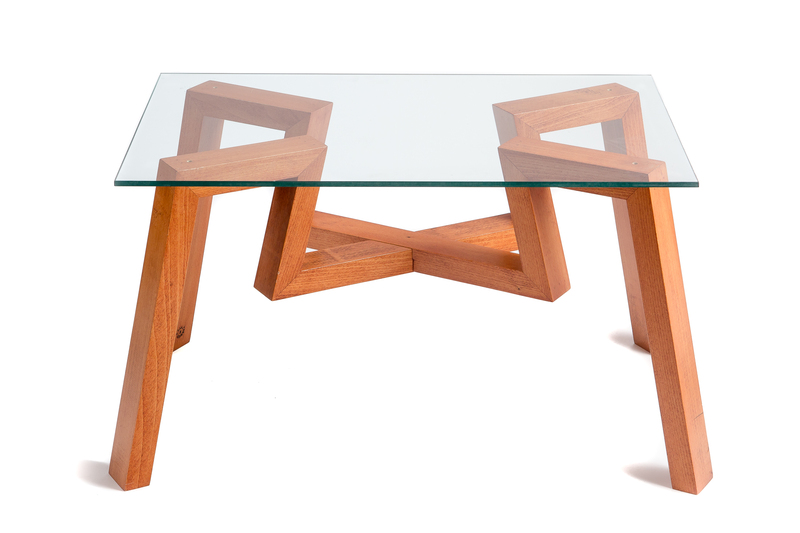 Made of seasoned chestnut wood with colour and finishes typical of brown walnut, it can be customised to in size and decoration. 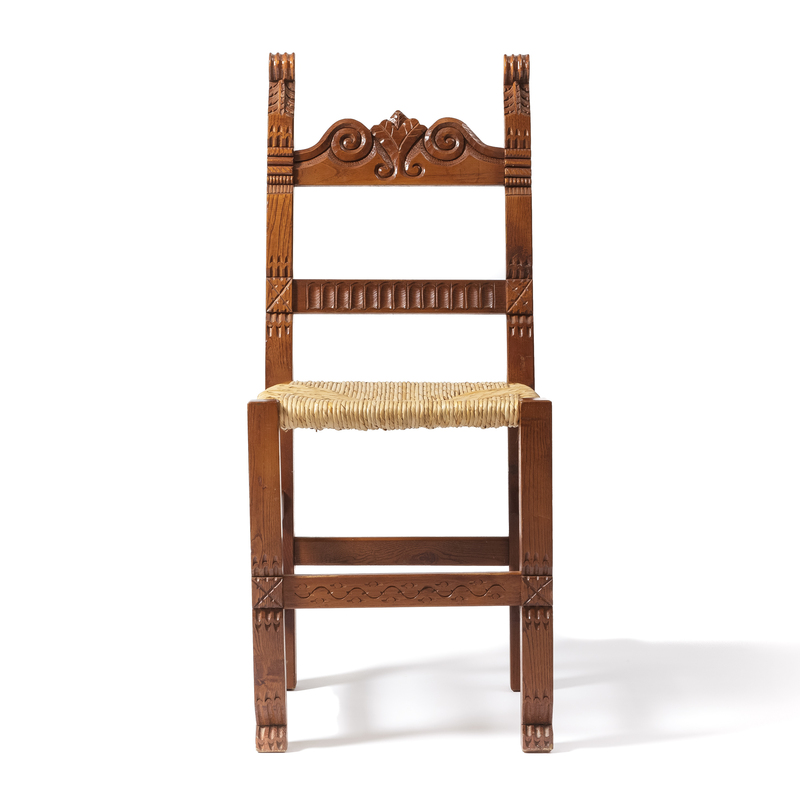 It is inspired by the heartfelt knowledge and the skilful craftsmanship of this Sardinian chair, carefully decorated with a carved palm motif on the back. The intaglio decoration featuring modules inspired by Sardinian tradition, enriches and characterises the two-door cabinet, that also includes small drawers. The woodcraft sector in Sardinia, with a its ancient and codified traditions, is expressed in contemporary productions with new and diversified interpretations. Featuring recognizable linguistic traits in its decorations or with new technical and stylistic solutions, the local master craftsmen continue to express the identity of the island through motifs and suggestions. 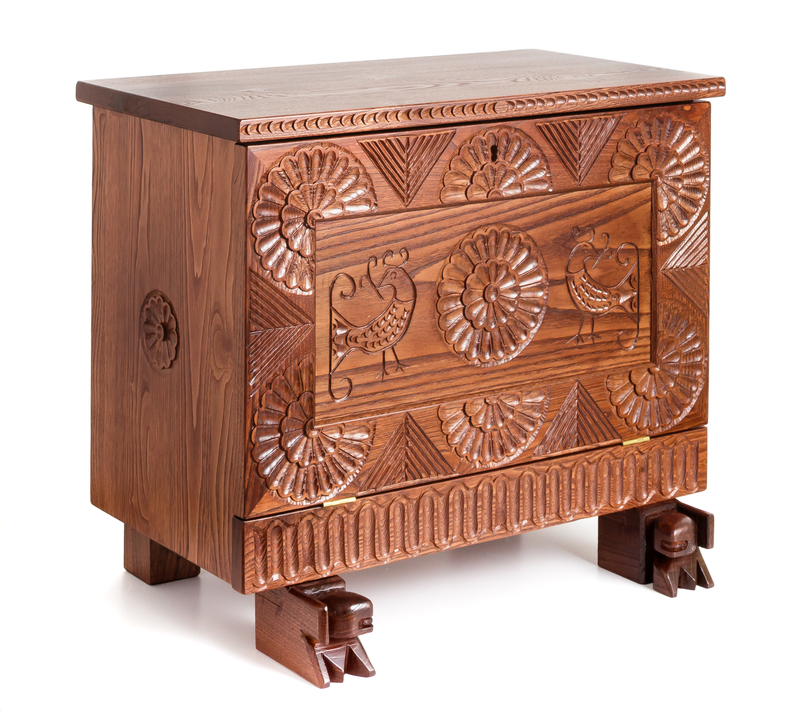 The traditional carving decoration is created in a masterly manner by means of a burin on the most precious artefacts, such as sa cascia, the hope chest, or with a curt touch in several objects of daily use in agricultural and pastoral contexts. In both cases the marks engraved serve as a language, a written story to be read again and again, the expression of a people with a strong identity. Distinctive carnival masks made as part of local tradition. Being included in the carving section, they are crafted in the towns of Ottana and Mamoiada, and more recently in Oristano, worn during the traditional local carnivals, in dynamic and engaging performances. 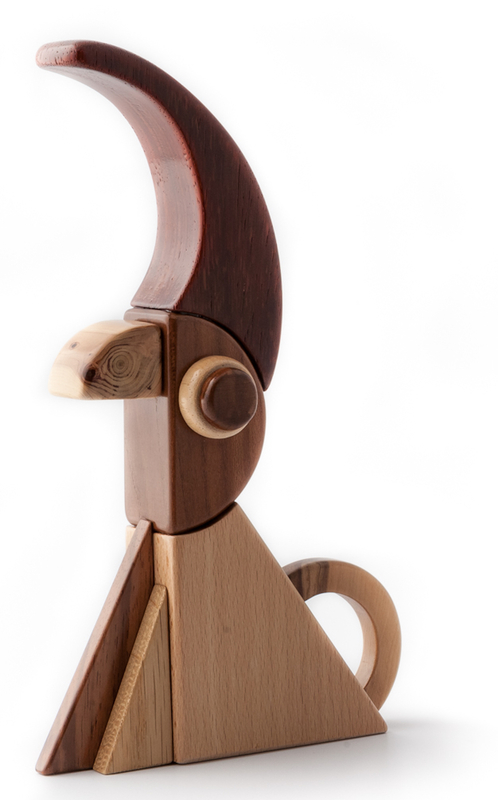 The new interpretations range between free and recent experiences of local history, which resort to woodcraft to create decorative objects, intended as small sculptures. Artist and designer Eugenio Tavolara was the first who, during the first half of last century, designed a series of small dressed sculptures, the puppets, which portrayed characters and scenes of the traditional life in Sardinia.